Although the data tariff war might be showing signs of cooling off after an intense stint, there is still a bitter struggle for power going on between the telecom operators. While Reliance Jio is sticking with its affordably priced effective plans, other telcos are also adopting similar strategies by revising their offerings, rolling out new packs to stay competitive in their segment. In the past few days, Vodafone has already launched a yearlong validity plan which comes for Rs 1,499. This plan by Vodafone was an answer to Reliance Jio’s and BSNL’s long-term plans. The Rs 1,499 prepaid plan is offering unlimited local, STD and roaming calling benefits and it also ships 100 SMS per day for the users. The data benefit in this plan is 1GB daily data, and it comes with 365 days validity. However, now Vodafone has increased the price of Rs 1,499 by Rs 200 and it costs Rs 1,699. Notably, it offers similar benefits as the Rs 1,499 plan, and a likely reason for the price hike is that other telcos are offering similar bundled benefits at the same pricing. This new move by Vodafone has made a level playing field for long validity plans. Wherein all the three major telcos are providing a year-long validity plan for Rs 1,699. Like we mentioned above, the Rs 1,699 plan offers the same benefits as the Rs 1,499 plan which was part of Vodafone’s portfolio until a few days back, but to reiterate, the prepaid plan comes with 365 days validity and it offers 1GB daily 2G/3G/4G data along with free unlimited local, STD and roaming calls. Besides that, subscribers will get 100 SMS daily credited to their accounts. 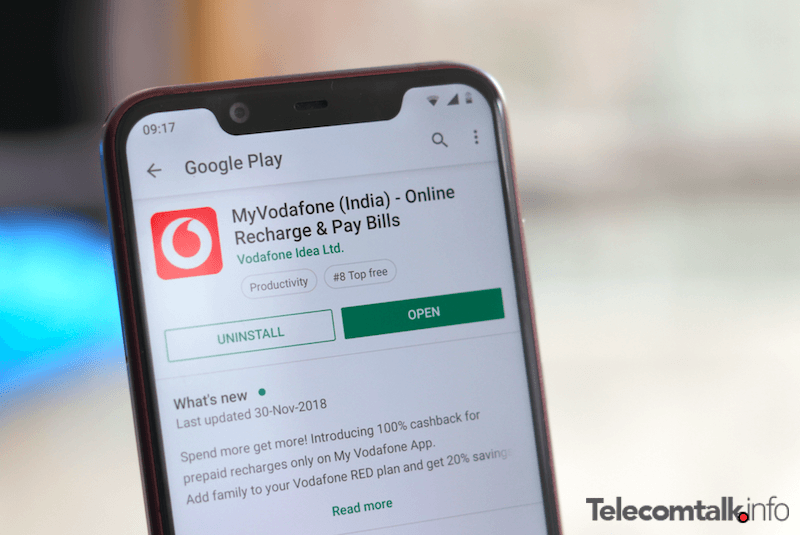 Subscribers of Vodafone should keep in mind that in some circles, the Rs 1,699 prepaid plan has replaced the previous Rs 1,499 plan but in other regions, both the offerings are available for subscription. If that happens to be the case, then we would suggest that you go for the cheaper plan and save yourself some bucks if the Rs 1,499 plan moves out of Vodafone’s portfolio. But most likely, Vodafone will phase out the Rs 1,499 plan in all the circles. Vodafone has not made any announcements as to why it revised its year-long plan in such manner, but it is understandable that all the other telcos are shipping a similar package on the same price and offering similar benefits thus this price revision maintains the level playing field even though some operators are providing lesser or more data. While Reliance Jio is offering 1.5GB daily data to its customers as part of the Rs 1,699 plan, BSNL has gone as far ahead to offer 2GB daily data to the subscribers.